Alex Dykes calls this video review of the all-new, second-generation, 2016 Volvo XC90 a “first drive” review, but at 21 minutes and 32 seconds, it’s nearly as thorough as most Alex On Autos reviews. Which is to say, more thorough and detailed than the video reviews of the XC90 you’ll find elsewhere. Released in 2002, the first XC90 was a hit for Volvo. No surprise there: it was great upmarket family transportation. But Volvo let it linger, and only now, nearly 14 years later, is China’s Geely-owned Volvo getting around to replacing that first XC90. U.S. sales have plunged as a result, falling from 39,230 in the XC90’s first full year of 2004 to just 3952 units in calendar year 2014. Canadian XC90 sales fell 84% between 2005 and 2012. 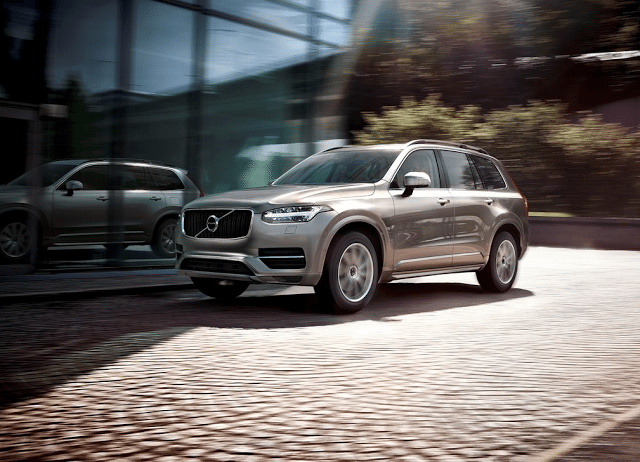 Already, GCBC has named the new XC90 to our Good 12 list for 2015. We’re excited to drive it, but until then, satisfy yourself with the Alex On Autos video review of the 2016 XC90. Although the XC90 will come in different flavours, Alex Dykes reviewed the 2016 XC90 with the turbocharged and supercharged 2.0L four-cylinder, a 316-horsepower unit. In his typical detailed fashion, Alex Dykes has completed a second video review of the XC90’s Sensus touchscreen infotainment unit. We’ve included that video below largely because it’s an extraordinary unit, unusual in its format and execution. Timothy Cain is the founder of GoodCarBadCar.net, which obsesses over the free and frequent publication of U.S. and Canadian auto sales figures. Follow on Twitter @goodcarbadcar and on Facebook. Alex On Autos is also on Facebook and Twitter.